Hotel is well appointed. Room was large enough for two adults. Shower was small but normal for Italy. Parking is on the street, but there might not be spaces when you check in. Breakfast was good. Floors above were a touch thin in that we could hear every step. Staff was very pleasant and helpful. No Italian city is as pleasant as Siena. 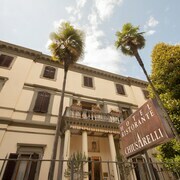 P Ravizza is an elegant hotel (at a very fair price) located near the western city walls. Gated parking available; this is very important if arrival by car since you cannot drive into the main part of the city.. Helpful staff. Rooms are huge. 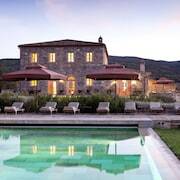 Flowered terrace overlooks the sunset and the gorgeous Tuscan hillside for many km to the south. Wine and tables available. Two good restaurants, Nona Gina and Trat. Barberi, lie along the walk into the center of the town. Where to find Siena hotels near an airport? How can I find hotels in different Siena neighborhoods? Where can I find hotels in Siena that are near tourist attractions? 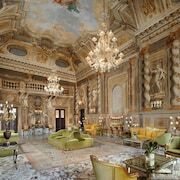 The best hotels in Siena, Italy tend to combine the highlights of two worlds: historical atmospheres and luxurious amenities. Neither trait comes as much of a surprise. As one of Tuscany’s most celebrated medieval cities, this charming destination is filled with the sort of ancient piazzas, incredible restaurants, and high-style attractions that make Italy so great. What’s more, it’s not difficult to track down discount rates and unbeatable deals on luxury hotels, so you can hit the holiday road without breaking the bank. Need a little help navigating the options? Let Expedia give you a virtual tour. Siena, Italy hotels are sprawled across several areas, so you’ll find more than few options angling to catch your attention. Visiting during the summer for the world-famous Il Palio horse race? Book a room near the Piazza del Campo. 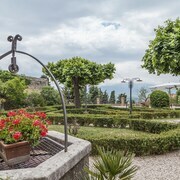 This central sight is home to the racetrack, and it offers a perfect jumping-off point for explorations of nearby attractions like the Palazzo Publico and 15th-century Piccolomini Palace. In the mood for something with serious local flair? 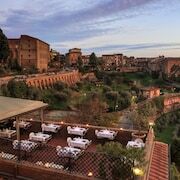 Search for a boutique hotel in Siena, Italy near the Fortezza Mediceana. This area boasts a weekly market, and it’s a fantastic place to get a taste of the regional lifestyle. Just make sure to leave enough room in your suitcase for the artisanal olive oil you’ll be sure to tote home. Once you’ve uncovered the Siena hotel that works best for your budget, flip through the travel tools at Expedia to grab even more essentials. We offer deals on the top flights, car rentals, and vacation packages, and we’ll even let you browse hotel options according to theme, brand, and area. It’s just one more way we make planning your next Italian vacation as hassle free as a stroll around the piazza. What are the most popular Siena hotels? 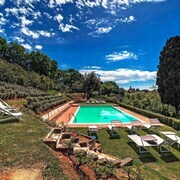 Are there hotels in other cities near Siena? 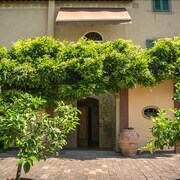 What other types of accommodations are available in Siena? Explore Siena with Expedia.ca’s Travel Guides to find the best flights, cars, holiday packages and more!